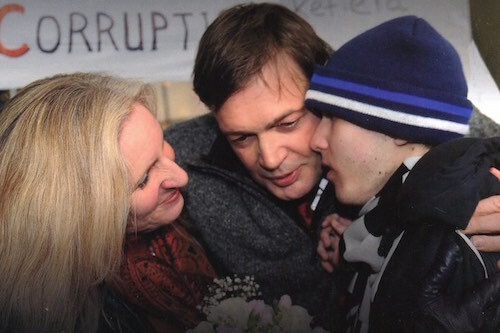 Back in 2003, the UK’s Channel 5 aired Hear The Silence, a film they had made about Andrew Wakefield’s work over the period 1995 to 2000. With all the fuss going on about Wakefield’s new film Vaxxed: From Cover-Up To Catastrophe, some people might be interested to watch this film to see how it all started. The story is told from the perspective of a mother, played by Juliet Stevenson, who has a sick child and is looking for answers and eventually finds Wakefield, an academic gastroenterologist. Her child becomes part of his investigations into bowel problems in autistic children. The film ends with Wakefield heading off to the US to speak at Congress hearings into vaccination, in 2000. In 1999, he and another doctor had proposed a hypothesis that children receiving the MMR (measles, mumps, rubella) vaccine at a younger age are more likely to develop autism, and Congress asked the CDC to investigate this (find the hypothesis here, but unfortunately you can’t read it). The CDC researchers found no age effect, but a whistleblower came out in 2014 saying they had fudged their results – this is what VaxXed: From Cover-Up To Catastrophe is about. Hear The Silence aired on TV once, on December 15 2003, and Brian Deer began his attacks on Wakefield two months later, in Murdoch’s Sunday Times newspaper. After airing, the DVDs went on sale, and shortly afterwards they were all recalled. And the film was never shown again. Just recently VaxXed was pulled from the Tribeca Film Festival in New York City, due to pressure put on the festival (it did however have a successful run for two weeks at the Angelika Film Center in NYC, and screenings at many more theatres have begun or are locked in). It was also pulled from a film festival in Houston, due to financial threats from the Governor and a judge. Health authorities say people must not be scared off vaccination, or there will be terrible returns of infectious diseases. But what do we do when the vaccine is having terrible consequences of its own? Projections are that by 2032 we will see an autism rate of one in two children, 80% of boys, according to the folks in VaxXed. And the danger of vaccine-preventable diseases is greatly exaggerated anyway. Hear The Silence is a beautifully made, engaging film, with wonderful casting and acting. Juliet Stevenson in the lead role is stunning. At the start the film says “characters have been merged or created for dramatic effect”, and they have done that really well. Stevenson’s character the mother Christine Shields is fictional, and so are most of the other characters, but anyone familiar with this story will recognise that the film accurately portrays what happened. Andrew Wakefield is played by Hugh Bonneville, and after watching many videos of Wakefield speaking, I can say he does a great job of interpreting this role. After the film was silenced it disappeared for 10 years, then it resurfaced on YouTube in 2013, as a home recording with Hebrew subtitles. Other versions online are copies of that one. There is a reason people want to see the films Vaxxed and Hear The Silence, it’s because they know they speak the truth. They can sense that Wakefield and others who worked on Vaxxed such as producer Del Bigtree are genuine people of good character. They can see the actors, writers, and producers for Hear The Silence are no fools and believed in their project. They know quality film festivals show quality films. Mostly, they want to understand why so many children have ASD now – the latest figures are 1 in 45, in the US and in Australia. No amount of posturing by the pharmaceutical companies, who sent out a template review of Vaxxed to all the major media outlets who obediently published it before the film was even released, can compete with the way good people recognise trustworthiness when they see it. They just need to see it. Have you watched Hear The Silence? Please let us know what you thought in the comments below. Its a great movie and its an important story to know to know about Wakefield and his collegues and their study. It really is a must see!